Just why do shops sell mince pies before December? 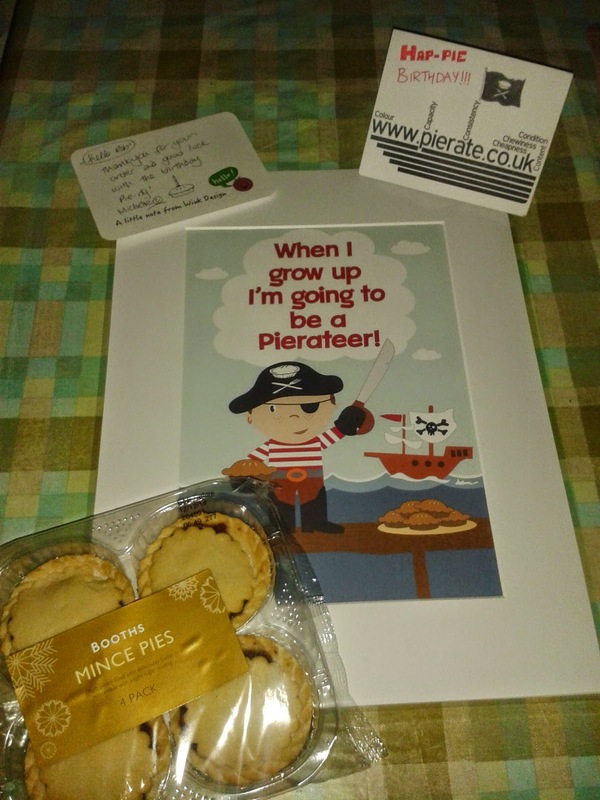 In order to answer this question, and quite frankly a great excuse to do Piethagoras' Theorem on International Pierate Day 2014, Pierateer RAS has decided to try "Mince Pie with every meal" - an attempt to solve why mince pies are sold before December! I'm not going to lie - a mince pie for breakfast is at times almost a common feature of my diet, rather than an abnormality or chore of any kind. Especially last November/December time, when I ended up eating tens of mince pies in order to create our "12 Pies of Christmas" music video! 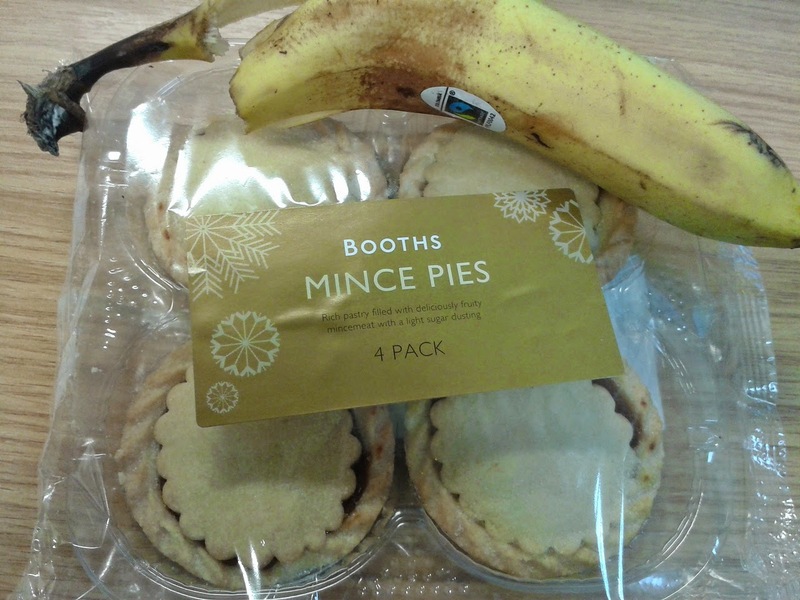 The mince pie of choice for the day is Booths Mince Pies - sold in the Northern supermarket chain and purchased on a recent trip up to Morecambe to film with the BBC. Supplementing my usual breakfast banana, the pie slipped down well, providing a bit of a sugary, pastry boost to the morning. Well needed when I woke up tired after staying up late to write our Birthday post last night! Anyway, the meal was nice, but the main thing was the mince pie I had with it, which again I couldn’t help think was a little too shallow and the fruit mix in it wasn’t quite as nice. 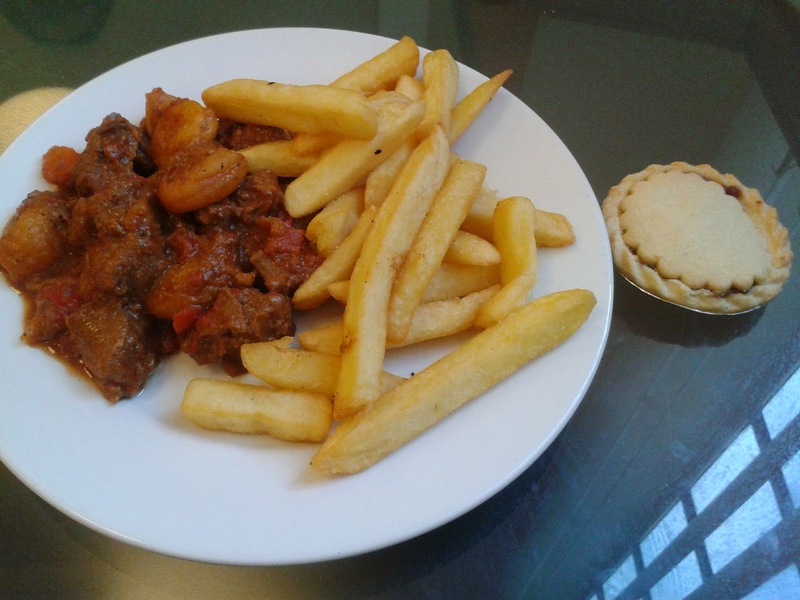 There were a few crunchy bits in the mince mix within this pie which I didn’t particularly enjoy. However all in all, the pie was again a reasonable standard. Having got home from work and with packing to do for my holiday the next day, I needed something quick and easy to cook. Admittedly I could have easily used this as an excuse to go to the local takeaway and get a Pukka Pie and chips (believe me, I don’t normally need an excuse for a pie!) 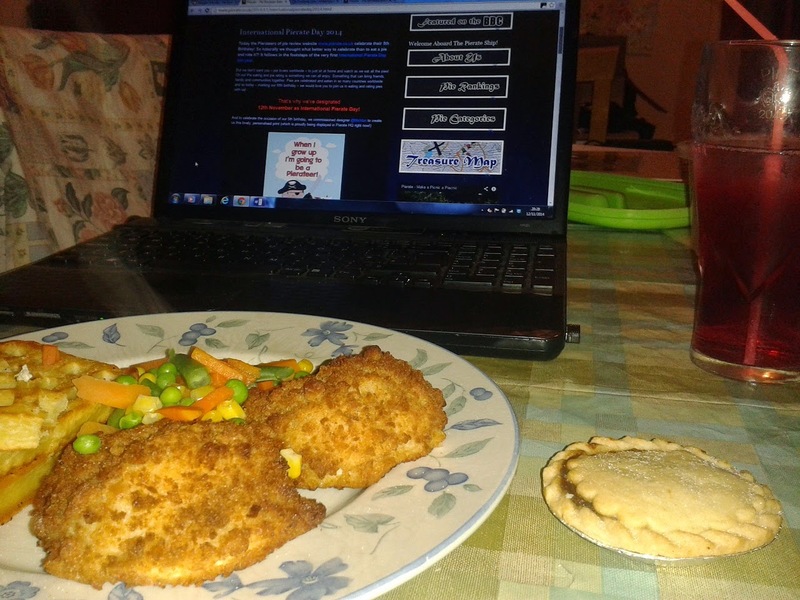 but having a mince pie ready and waiting for dessert, I decided to stick with my original plan of chicken kiev. As I’d already had two of these mince pies “au naturel” I decided to have this third one of the day with a bit of ice cream, which did mix it up a bit. However by this point I had definitely decided that this wasn’t my favourite mince pie to eat. The pastry wasn’t overly crisp and there could have been more filling to balance the pastry:filing ratio better but overall it was a nice, if not spectacular mince pie. At £1.19 for 4 pies, so 30p each, this was a fair bit more expensive than the Lidl/Tesco/Mr Kipling comparisons of last year but not too badly priced. And as for why mince pies get sold before December? Well, I think there are a few reasons. Firstly, why would you ever only want to eat pies in December?! Surely more places should follow the lead of Robinsons Bakery and sell mince pies all year round! Secondly, with so many to choose from, you need to start early in order to sample a good range of mince pies in order to choose your favourite for Christmas Day! 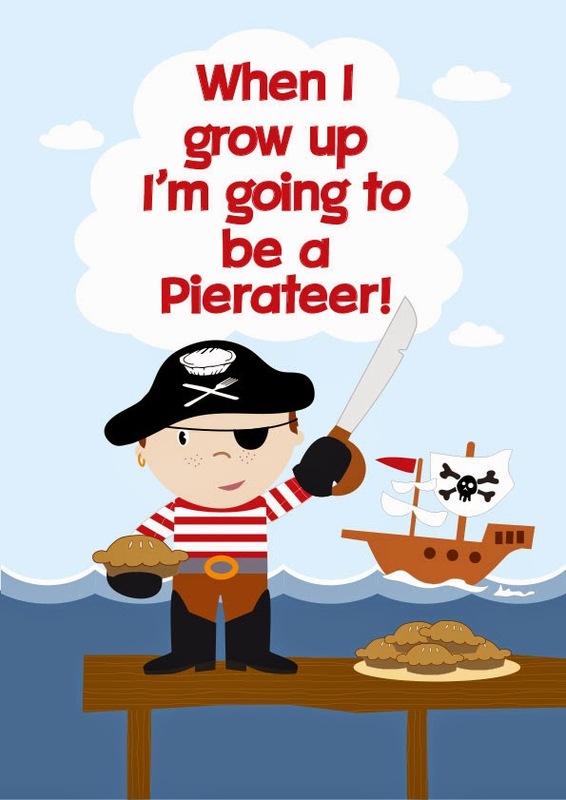 But finally - and arguably most importantly – you wouldn’t be able to eat and rate mince pies on International Pierate Day if they weren’t sold until December. And we certainly wouldn’t want that to happen!! !